Posted on February 23, 2015 at 4:17 pm. 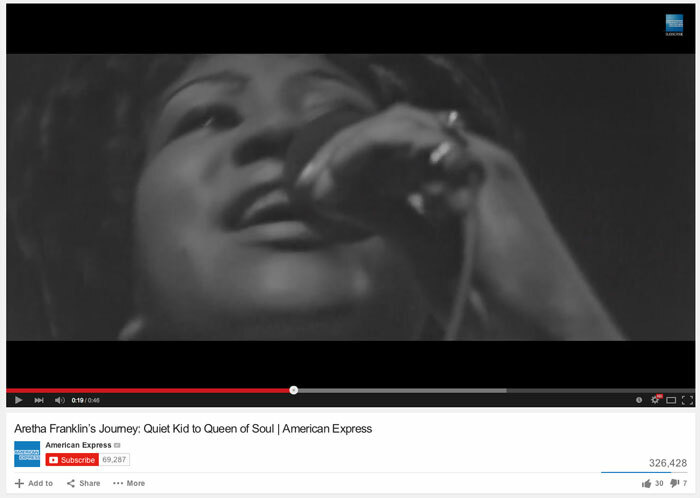 We are pleased and proud to have our footage featured in the new Aretha Franklin American Express ad which debuted on the Academy Awards last night. We also contributed footage to the U2 iTunes ad back in October.